Before I gross you out, I will tell you what this is good for and treats. Then I'll tell you the other name for it, as it may not sound to good for some of the weaker at the stomach areas. 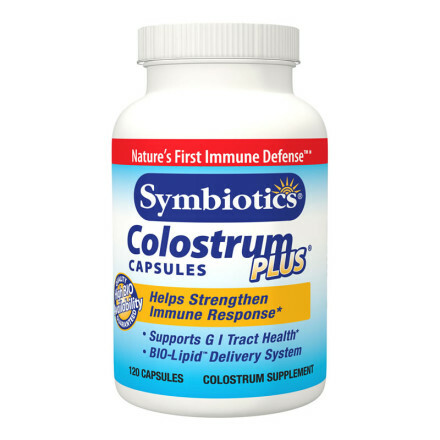 Colostrum is a great way to fight off sicknesses and helps to strengthen the immunity. This can also be used to help with the digestion of those that have constipation and stomach problems. This has been known to prevent diseases, help with fighting sicknesses that are airborne. Note: If you are lactose intolerant, this is not a good thing for you to take. Some athletes have used this to improve their performance. If you have digestive issues, it could be that your body isn't getting enough of the vitamins that are in this tablet and it can help to reduce weight. Ok, now that you know all of that, this is the same thing as "Breast Milk to an infant". We all know that breast milk is the best to give a new born due to the immunities that they need for the first parts of their lives. It helps with their immunities and they are less likely to get sick. This is the adult version in a capsule form.